iTunes Match Error 4002 is one of the most annoying errors paid iTunes users get. In this article, we’ll try to help you fix this error once and for all. iTunes Match is a Cloud-based service that was released by Apple a bit over a year ago. The service costs $25/year. The idea behind this service is very simple – it allows you to access your iTunes music library from any device, be it a computer, an iPod, an iPhone or Apple TV. iTunes Match works in a very simple way. What it does is this: it accesses your iTunes music library, checks it and then send the data to the server. The it either matches your music (for songs that are both in your library and the iTunes Store) or simply uploads songs. This allows you to download or stream your songs on any Apple device whenever you want, because everything is stored in the Cloud. You need to have iOS 5 or higher to be able to use the service, though. The iTunes Match error 4002 is an error that started appearing last month. Not to mention other errors that have been frustrating users from the first day iTunes Match was released. Basically, the iTunes Match error 4002 prevents your songs from being matched. The service simply hangs for about 20-30 minutes and then the error message appears. While there is no universal fix for this problem, here are some things you can do to try to fix the problem. The first thing that you should do when you get the iTune Match error 4002 is to make sure you are running the latest versions of iTunes and Genius. If you are using older versions, they might be causing the 4002 error. To update iTunes and Genius, disable the Match service, update your software and enable Match again. This should fix the error. 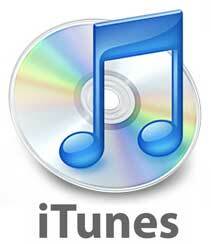 Funnily enough, downgrading from iTunes 11 to iTunes 10.7 fixes the problem in some cases. So try that if the error started appearing after an upgrade to iTunes 11. Another way to solve this error is to relaunch everything. This means that you’ll need to sign out of Match, sign out of iTunes, check for Genius updates and apply them if they are available, and then sign back into iTunes and Match. This doesn’t always work, but it does help to fix iTunes Match error 4002 from time to time. If nothing of the above helps, the problem might lie with your Internet connection. Try switching off your Wi-Fi adapter or plugging out the cable, if you are connecting via cable. Then switch your Internet back on. Windows users: when that’s done, run Internet optimization software like the one found in RegAce to make sure your Internet connection settings match your hardware configuration. Quite often using an Internet Optimizer fixed the iTunes Match Error 4002 that was occurring because of the user’s connection problems. Hopefully this helps you fix iTunes Match error 4002 and makes the service run flawlessly again.